Mike Sullivan is playing well again. 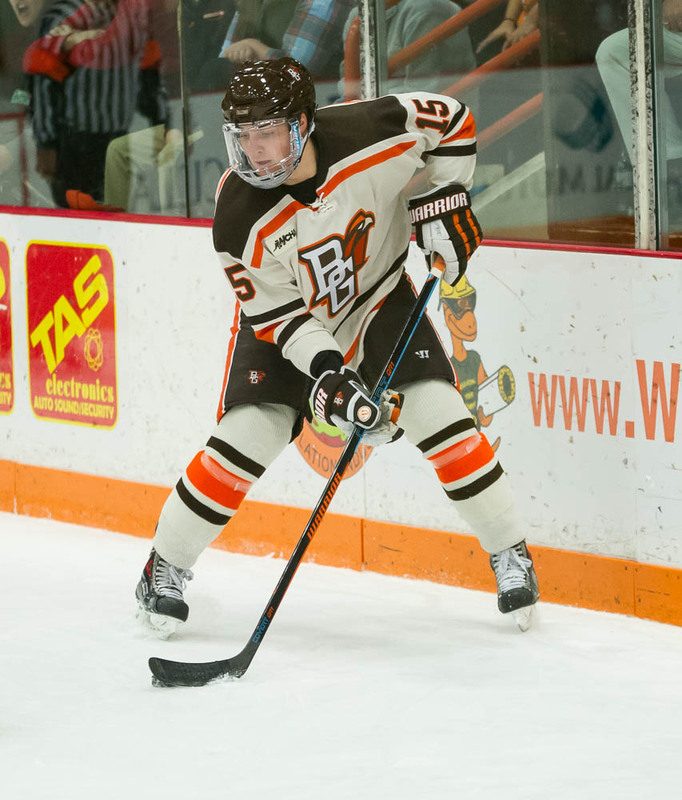 He had a goal and an assist Friday to help the 18th-ranked Falcons to a 3-1 win over Bemidji State in a Western Collegiate Hockey Association game at the Ice Arena. Sullivan has two goals and five assists, and an on-ice rating of plus-5 in 13 games this season. The 6-foot-1, 187-pounder had two goals and 10 assists, and on-ice rating of plus-1 last season. 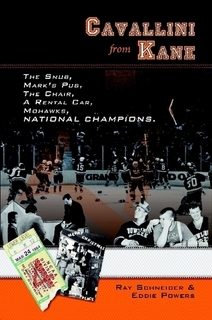 Sullivan’s goal snapped a 1-1 tie just 17 seconds into the third period. He scored from the right point after toe dragging the puck past a defender inside the blueline. The defender dropped to one knee and had his stick in the shooting lane to the inside, giving Sullivan a chance to deke the Bemidji defender. 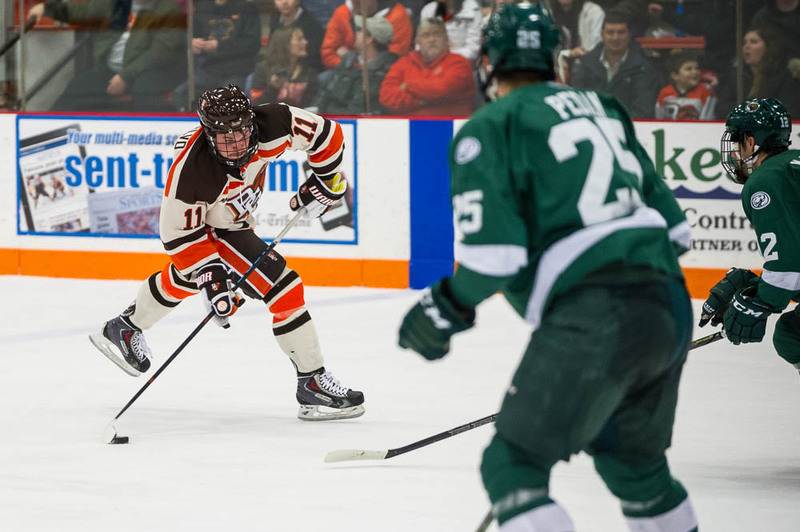 BG forward Kevin Dufour had a major role in the goal as he screened Beaver goalie Michael Bitzer. Sullivan assisted on Adam Berkle’s goal, which tied the game at 11:43 of the second period. His shot from the left point was just wide of the left post, but the puck rocketed back in front to Berkle on the left side of the crease. Berkle knocked the puck in out of the air on the short side. Sullivan had a goal and an assist in last Saturday’s 3-2 win at Ohio State. “This year, I’ve just been worrying about how the team’s going to do,” Sullivan said. “I’m always excited to get to the rink, but this year, we have such a special team. I really think it has been an easy transition. WINNING WAYS: The Falcons are 9-3-1 overall and 6-1 in the WCHA, their best start since the 1995-96 season when it began 11-2-1. FIRST: Berkle’s goal was his first of the season. The 6-foot-2, 184-pounder is one of the league’s best forwards and entered the season with 24 goals and 44 assists in 131 career games. TOP LINE: The line of right wing Berkle, center Dan DeSalvo and left wing Kevin Dufour had a strong game. They combined for six shots and were a force most of the game by controlling the puck in the offensive zone. The three held the puck for about 60 seconds before Berkle scored. They used the possession to set up Sullivan and Walker for several shots from the blueline before the goal. Berkle, DeSalvo and Dufour skated against Bemidji’s top line of Cory Ward, Markus Gerbrandt and Brendan Harms most of the night. Ward scored the Bemidji goal, tipping in Gerbrandt’s pass from the left wing with 14:53 to go in the first period. LINE SHUFFLING: BG shuffled its forward lines for the game to get Dufour going again, Bergeron said. Dufour entered Friday tied for the national lead in goals with nine, but hadn’t scored in the last four games. The sophomore had been skating on a line with Pierre-Luc Mercier and Matt Pohlkamp. “We’re trying to get Kevin going, not necessarily scoring, get him confidence and get him on the positive side,” Bergeron said. “He had some strong shifts where he was skating and strong, and that’s Kevin at his best. Dufour’s net-front presence resulted in Sullivan’s goal. “That’s a detail thing that gets overlooked. That’s one of those detail things we want to be great at,” Bergeron said. Mitch McLain joined Mercier and Pohlkamp. Brent Tate skated with Mark Cooper and Jakob Reichert, and Brandon Hawkins skated with Brett D’Andrea and Ben Murphy. TURNAROUND: The Falcons had several good shifts to start the game, but Bemidji rallied to control the remainder of the first period. The Beavers scored following a BG turnover. But the Falcons came back to play well in each of the final two periods. BG finished with a 25-22 edge in shots after Bemidji outshot the Falcons 8-4 during the opening 20 minutes. The Falcons’ success resulted from the ability to cycle the puck in the offensive zone. “I don’t know yet if we’re really good at doing anything else,” Bergeron said. “We’re not great off the rush yet. We don’t want to be a let’s turn it over and see if we can get into a track meet team, that’s not our best. BG didn’t play with much emotion and intensity in the first period and spent a good part of the period defending. The Falcons then got back to controlling the puck in the second period, and their passion returned. HOT HAND: BG junior Tommy Burke was sharp in goal, stopping 21 shots, including several point-blank stops in the second period and a breakaway save during the first period. Burke has started five of the last six games, posting a 4-1 record with a 1.80 goals-against average and a .936 save percentage in that span. Bitzer had 22 saves, 11 in the second period. EMPTY-NET GOAL: Reichert’s empty-net goal with 13 seconds left clinched the win. The 6-foot-5, 233-pound power forward hit the center of the net from the bottom of the right circle in the defensive zone. The freshman controlled a loose puck and then fired puck down the ice. QUICK START: After controlling the second period only to be tied 1-1, the Falcons took the lead for good just 17 seconds into the third period on Sullivan’s goal. SPECIAL TEAMS: The Falcon power play was 0 of 5 and had just four shots in 10 minutes with the extra man. BG has scored just one power-play goal in the last seven games, a span of 25 chances. “The only disappointment, concern is the power play.” Bergeron said. “On a night you don’t have your game right, you can really use the power play to get you some momentum, especially in a rink that’s ready to come unglued and cheer. BG’s penalty-killing was 2 of 2. 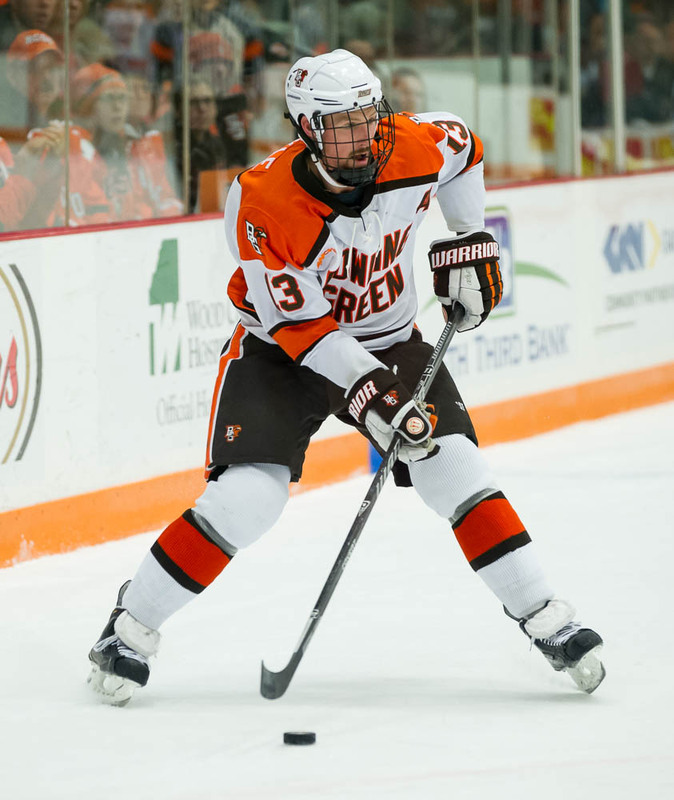 HE’S BACK: BG senior defenseman Connor Kucera returned to the lineup after missing nine games with a shoulder injury. SIDELINED: BG freshman forward Tyler Spezia missed the game because he was sick, Bergeron said. Bergeron didn’t think Spezia, who had been playing on a line with Berkle and DeSalvo, would play in the series finale Saturday night at 7:07. The forward had four goals and one assist and on-ice rating of plus-6 in 12 games. He also played on the power play. ALUMS: Former Falcon stars Dan Bylsma and Mike Liut were in the Ice Arena to watch the game. BEMIDJI: The BG series concludes a tough three-week stretch of league play for Bemidji. The Beavers lost twice at Michigan Tech last week and were swept at home by No. 9 Minnesota State the previous week. Bemidji has lost five straight overall to fall to 3-8, 2-5. “They came out swinging and fighting, and ready to play hard,” Bergeron said.